These mugs will hold approx. 14 oz, I take extra time to make them light-weight and comfortable to hold, yet strong enough for years of use. 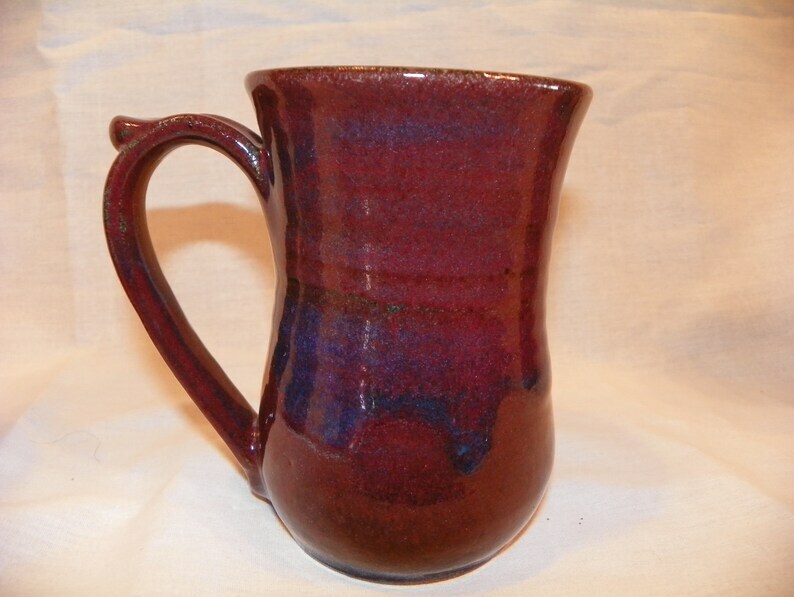 High fired stoneware is dense and strong and these cups are very chip-resistant because of this. Handles will not get hot in the microwave so they are safe to reheat and hold. This listing is for 1 mug.